White diamond halos, created by a total of 540 round cut white diamonds weighing 3.48 cts., surround 45 Forevermark® diamonds, at 7.65 cts. 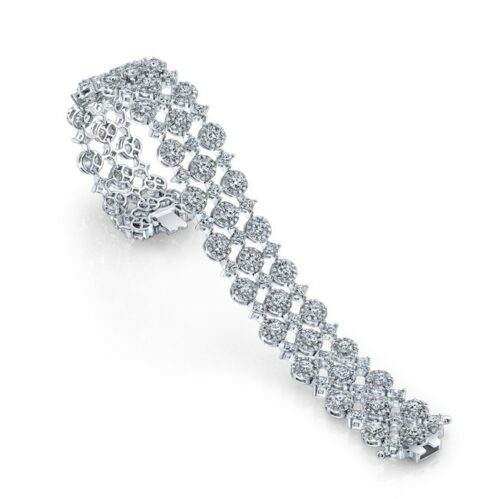 45 additional princess cut diamonds, at 4.68 cts. 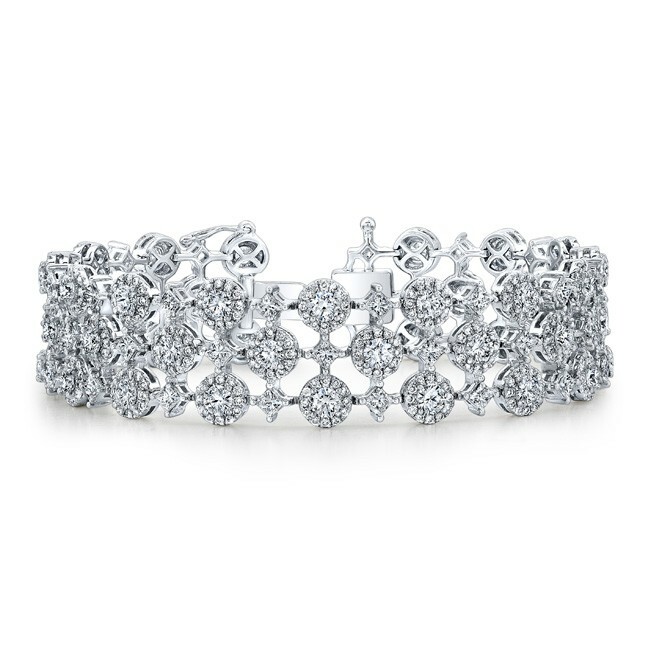 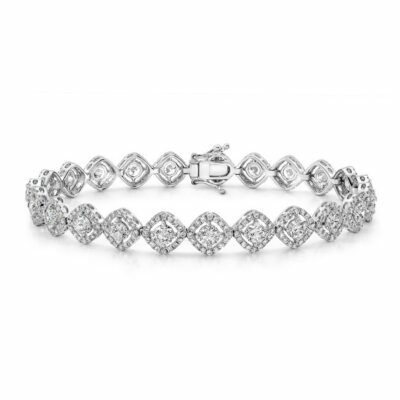 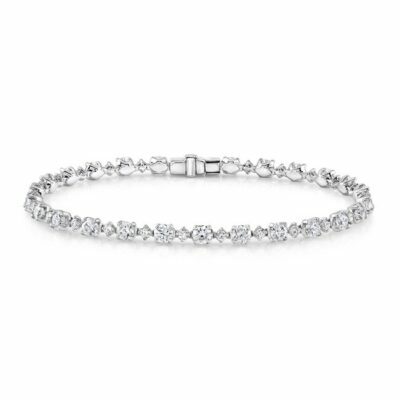 add interest to this luxurious 18k white gold Natalie K bracelet.